My favorites for the week are usually never categorized in order from most loved to "least" loved, but today is the first time that the first on the list is my absolute favorite and everything else is a step below (a small step, but a step nonetheless). This song was a game changer for me. It's constantly stuck in my head. I'm basically screeching in my head "that green light, I want it!" while throwing my hands in the air and letting my hair blow in the wind. 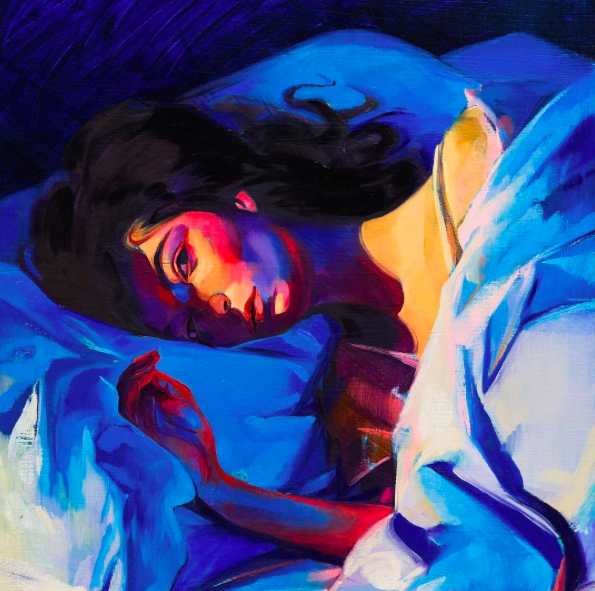 I love that this song shows another side to Lorde, a more fun and playful side. I'm so stoked for her new music and I'm curious if it's going to follow this more upbeat and dancy side or if she'll revert back to her chill, cool vibes. In case you haven't heard, Ed Sheeran's newest album ÷ (Divide) came out last week and it's been destroying souls and happiness all week. When will Ed ever release something that doesn't complete gut his listeners and render us sobbing messes? He's just such an incredibly talented dude. His lyrics are incredible and the actual composition of the songs are superb. This album plays around with some Irish vibes, has its fair share of songs to sob to (I'm looking at you, "Supermarket Flowers") and just a whole lot of quintessentially "Ed" aspects. I know there's been some questionable things in the press lately, namely print interviews that just don't sit well with some (I've definitely cringed at a few comments, but who knows if it's him saying it or the journalists spinning it), so I'm strictly basing my views off of the album itself. To listen to: "Castle on the Hill," "Happier," "Hearts Don't Break Around Here," "Barcelona," "Bibia Be Be Ye" and "Save Myself" (but really, just the whole album, let's be real). I've definitely talked about this concealer more than enough, but I've finally been reunited with it after a couple of weeks of not having it. I thought I would test out a drugstore concealer to save myself a bit of money and then after one day of not having my Urban Decay concealer, I noticed a difference and scrambled to make an order on Sephora because I just didn't have time to stop into the store. No concealer covers my red spots and blemishes better and for longer than this concealer. I was using a NYX one to tide me over and it just wasn't doing it it for me, at all. It took a couple of layers to fully cover my spots and I ended up having to just sponge on more foundation to fully cover them. It was just too much makeup to put on my face, so I'm happy to just have a single step product back in my life. 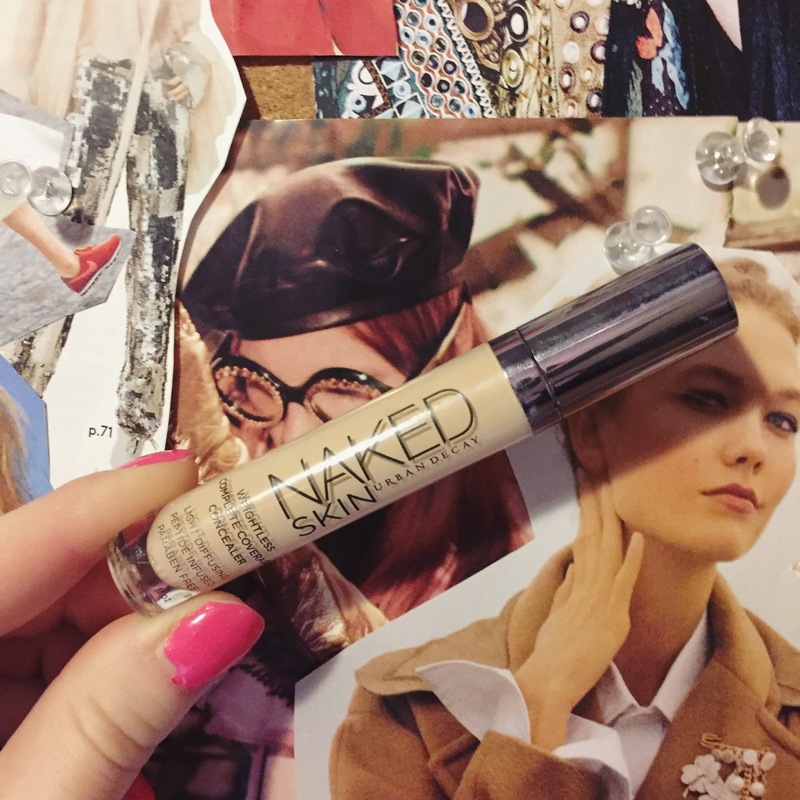 If you haven't given this concealer a try yet, I highly highly recommend finding your shade and giving it a go! I finally (and very sadly) ran out Belif's The True Cream Moisturizing Bomb and instead of trying another high end moisturizer, I decided to go back to basics with my trusty Aveeno moisturizer. It's been a while since I've used this and I forgot how much I loved it! First thing, I do love that this has a pump. It's much easier to gauge how much product I'm using. I love that it's unscented and it just makes my skin feel incredible. It's fairly lightweight, but not so lightweight that I don't feel it do anything. A lot of drugstore moisturizers that I've used are either too watery or way too thick where it feels like I'm applying a lotion to my face. 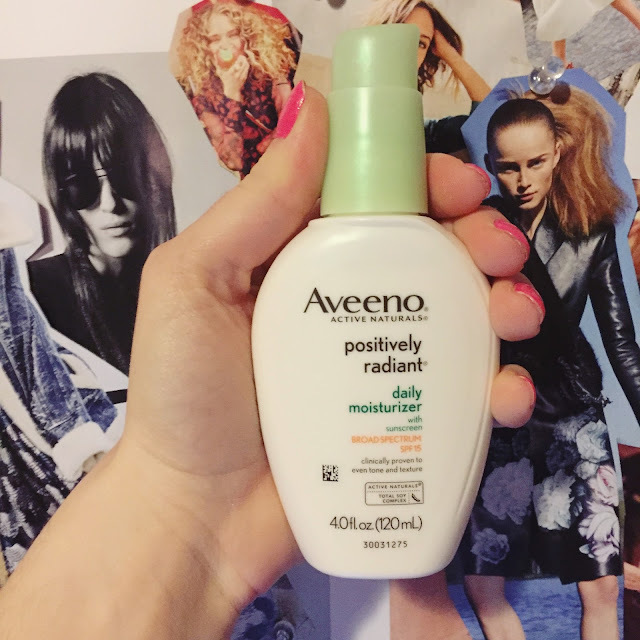 This product is a happy medium and while it's still around $15, I think it's a great drugstore option for my combination or dry skin girls out there!